Search engine optimization doesn’t cost, but not paying attention to search engine optimization costs you plenty. The following are tips, techniques, and the tools you need to create a search engine friendly website or blog. SEO (Search Engine Optimization) is the technique of fixing code, writing keywords, and making your site an open door to search engines to come in and explore. If you are not familiar with SEO and search engine page ranking, then check out my article on How Google Ranks Websites for a better understanding of how search engines work and how they evaluate your site. And for more information on how a search engine gathers information from your blog, read How Search Engines See, Search, and Visit Your Website. Why Pay For Search Engine Optimization? I originally wrote this article as a rant against site and articles like Webmaster 911 offers “Do It Yourself Search Engine Optimization” which offers search engine optimization resources for a fee. If you have money falling out of your pockets, then these are some good recommendations. If you are like me, and money is scarce to be found, I wanted to show you how to really do this in a “do-it-yourself” fashion for free. That’s right. FREE. I also was inspired to rant about “professional web designers” who use tables and 10 year old technology in their web page designs. If you have a website that promotes, educates, or offers tips and techniques for web page design and layout or even web hosting, MAKE YOUR DAMN WEBSITE MEET WEB STANDARDS!!! Is this too much to ask? Practice what you preach. If you want to hire a professional web designer, hire one who is depending upon your job to pay their mortgage, not a friend or buddy who designed a couple of websites. Make sure they have training and years of experience in web standards, design practices, advertising, marketing, and search engine optimization. Until you have the money for such services, I wrote this real “Do It Yourself”, totally free, search engine optimization guide. Enjoy! Search Engine Optimization (SEO) is based upon making your blog accessible to search engines to gather information to store in their database, and to help users search for information related to your blog. Remember, SEO means helping search engines and helping users find the information they need when using a search engine, thus encouraging them to visit your website when it appears in the search results. You can put your do-it-yourself search engine optimization techniques to work on your entire website, but it helps to start with one web page to clean up the core optimization problems, so we’ll start there. When you find consistent and redundant errors, then you can fix them throughout your website or blog. 1) Make sure there are no road blocks in the path of a search engine crawler. 2) Make sure the crawler can move through your blog, examining all your web pages. 3) Provide adequate keywords and key phrases which clearly help categorize your content. 4) Provide clearly labeled tags and categories recognized by tagging service crawlers and many search engines today. 5) Take advantage of pinging services. What is not in this list is anything that has to do with advertising. I want to be clear on this. Search engine optimization is about making your website easily accessible by search engines, it is not about how to make money with your website. Yes, SEO practices can help you make money on your blog, but only because it is lovely underneath the hood to both search engines and users, not because your ads work better. That’s a different subject known as e-commerce, search marketing or website analytics. A lot of people think SEO is e-commerce but it isn’t. Related but not the same. We’ll be focusing on your blog’s relationship with search engines and how this helps you to have a better blog. Let’s look at each of these points to help you understand the benefits and how to do-it-yourself. No Road Blocks: A road block for a search engine crawler moving through a website is any element that confuses, distracts, or stops a search engine crawler or spider from moving through your site. Examples of road blocks include HTML/XHMTL errors, lack of connecting and navigational links, lack of text, a table-based design, 404 page not found errors or other dead or moved links, and bad Apache .htaccess or robots.txt files. It is critical to ensure all such errors and road blocks are fixed. To put it simply, this means you need to test, test, test your web pages. This is not as complicated as it appears. If you are using WordPress, put your WordPress Theme through a couple validation tests to make sure it works right. While Theme designers do test their designs, double check their work to make sure the Theme validates both with HTML/XHTML, CSS, and Accessibility Standards. If you tweak your Theme, run it through the testers and validators again. Make sure that all the template files work right and meet web standards and then you are ready to go. With a solidly functioning and error free Theme, the only place you can screw up your WordPress blog is in the content area. Most people only post text in the Write Post panel, leaving all the design elements outside of the content. But headings, bold, italic, and links are still tags that can have problems. Hey, mistakes happen. Links are left open. A link, blockquote or other tag is messed up or not closed. Headings aren’t closed. Or an image is too big or small and pushing things around. A DIV or HTML tag might be closed when it wasn’t opened, which closes another tag early, causing all kinds of problems. There are a lot of things that will mess up your blog that can occur within your content area created with the Write Post panel, but these are human error things. Careless mistakes easily caught. The solution is easy. Before you click the Publish button, preview your post. The new WordPress 2.0 and WordPress.com offers instant previews of your post within your WordPress Theme, giving you a chance to really see what it looks like before you publish. If you are using an older version of WordPress, you can get the same live preview by typing in your blog URL with the post number in a new tab or window such as http://example.com/index.php?p=456. The post number appears in the Write Post Panel address bar after you have hit Save and Continue Editing. Using this method in all versions of WordPress, you can actually test your post with any web validator if you find you have problems and can’t track down the culprit easily. A quick glance can usually catch most harmful errors. The sidebar is gone, pushed down, or borked. The whole text is a giant link. A graphic or photograph is too large or small. All are easily fixed from within the Write Post panel. Those without WordPress’s features should check your design and layout template files thoroughly, and then frequently test your published pages with validators to make sure you continue to keep the template files in good shape. Make these tests and checks of your blog a part of your regular maintenance schedule. It’s critical to do semi-annual website maintenance to keep your blog performing well and ready for search engines to visit. For an extensive list of free website checkers, testers, and validators, check out my article on Validating the Code Behind the Page and Conquering Site Validation Errors. And take time to understand how search engines see, search, and visit your website so you can take the necessary steps to make that visit enjoyable. The Crawlers Can Navigate Your Site Easily: In order to get all of your posts into a search engine’s database, the search engine crawler has to find them. As the crawler moves through your blog, it looks for links to the Pages, highlighted posts, next and previous posts, or other internal links within your layout and posts to move through to the next post. Ignored by search engines, orphan posts can happen when a post is disconnected from the other posts. Now, there is something you need to know about WordPress and using site search tags on your blog. Google follows all the links on your posts, and many WordPress Themes feature date, archive, and site search links which generate specific pages when clicked. Google “thinks” these are all individual web pages and follows them, adding them to their database. As of January 1, 2006, this blog has 360 posts but more than 18,000 pages are stored in Google’s database. I didn’t do anything special, that’s just WordPress doing awesome SEO right out the box. Thought you should know. When possible, add links to your content that connects the phrase or topic to another post on your blog. I’ve included many such examples in this article. Link list features like most recent posts, related posts, or random posts adds more navigational links to connect one post to another. You can add your site map and important Pages and posts to your footer for increased navigation, helping both the user and search engine crawler. A site map, archive, or even posts with lists of other posts on your blog will help connect the links between all of your posts. 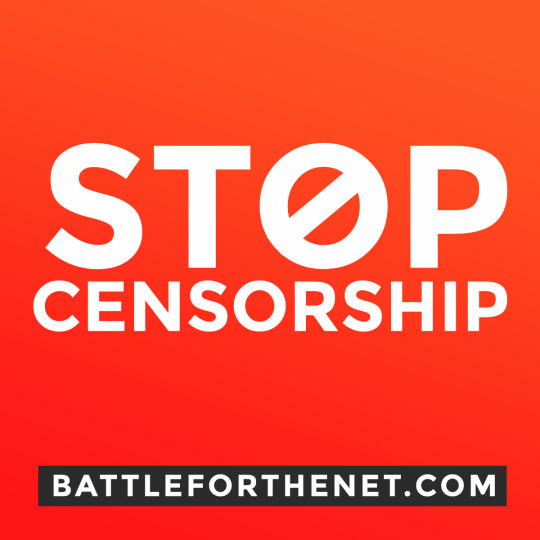 Go through the list, and if you find any posts missing, the odds are likely that it is an orphan, so add some links to that post, and double check your navigational links to make sure that you have adequate links to connect all your posts to each other. As a side benefit, visitors will enjoy your blog much better if they can easily find other posts you’ve written that might interest them. Keywords, Keywords, Keywords: Keywords in your post content help search engines categorize your information in their database. They also help the user find your blog. Think through your post for keywords people will use to search for your content. For this particular article, keywords would be seo, search engine, optimization, keywords, clean, checking, maintenance, site maintenance, cleaning, optimizing, search, crawler, search engine crawler, validation, web, and standards. If you were searching for an article on search engine optimization, the odds are that you would use one or more of these words or phrases, so it is critical to include these words or phrases in your writing, at least more than once, to make sure the search engine crawler understands that these are words important to the content of your post. As you write your post content, adding titles, headings, links and images, write them right. Make sure that all titles and headings include one or more of your keywords, reinforcing the topic at hand. Make sure that all links and images have TITLE and ALT attributes, and again put some of your keywords in their titles and descriptions. The better the spread of keywords in your article, without using them in between every other word like a search engine spammer, the more likely a search engine is to understand the topic you are writing about, and the more likely your audience is able to understand the topic. There are also tools that will help you by suggesting, analyzing, and checking your keyword density to make sure you are using enough keywords and the right keywords to help categorize your content. Well, while modern search engines are trying, they really can’t read your pictures. They can only read your descriptions of your pictures, the ones you tend to leave out of your image links. Without words, search engines can’t “read” anything. There is nothing to categorize or add to their database except code with links to graphics. The graphics will get picked up by Google Images or another search engine that catalogs images, but it won’t go easily into their main database. You have to have words, and you need to make sure the search engine understands the topic at hand, and that means paying attention to keywords. Tags and Categories: Categories are for users. Tags are for tagging services like Technorati. Is that clear? Now, let me confuse things. Tagging arrived a little over a year ago and took the web by storm. Tagging is part of a movement towards “social bookmarks”, a method of creating mini-categories for post content which are similar but not quite the same as keywords, and using people’s opinion to promote interesting websites, blogs, and information to the top of a list created, in part, by tag services. Categories help your visitor move through your blog finding related material. 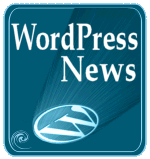 For instance, on this site, I have categories for WordPress News and WordPress Tips. If you are visiting this blog and are interested in tips related to WordPress, then you would visit the posts within that category. Pretty self-explanatory, right? WordPress marks categories automatically as tags. This is great as it instantly adds tags to your post, but not all categories are worthy of being tagged. For instance, my category, Blog Babble is a lousy tag. Who is going to search for “blog babble”? No one. But you instantly understand that you will find posts within that category related to blogging. It’s a synonym for “talking about blogs and blogging”. Search engines and tagging services don’t deal well with synonyms. This is just one example of the many problems with tags. I like my few neat categories and so I manually add tags to the bottom of my posts. Tags categorize your content with keywords into micro-categories used by tagging services. They can be chosen by you and posted on and within your posts on your blog, or by users who “tag” your post in their tagging service account, which then may help other users who are searching that tagging service for that particular tag. Tags are similar but different from keywords. Keywords are what people will use in search engines to find your information, while tags are used by those using tag services to find your information. Search engines are slowly embracing tagging, so the line between these two is blurring. Any link can be assigned a “relationship” as a tag. The link can be to anything. It can be, as shown, to a search page that looks for posts with the word “Apple”. It can go to any tagging service like Technorati. It can also go to applesrus.com or any web page link. Search engines and tagging service crawlers or spiders come through your blog after being pinged or upon invitation to find every mention of rel="tag" and add that to their database along with part or all of that page, connecting the tag with your content. Users will visit Technorati and type in a keyword, like “apple”, and all posts with tags for “apple” will appear in the search results. If you have a post that is all about apples, but you haven’t included a tag for “apple”, then the tagging services will not have that post listed under “apple”. This makes tagging services limiting since their database returns are based upon tags not overall content and keywords. Still, tagging services offer an alternative to searching from traditional search engines and tend to focus their search results on blogs rather than traditional websites. Whether or not your categories serve solely as your tags or you add tagging elsewhere in your blog, it is up to you. Either way, many search engines, in addition to tagging services, are now using tags to collect information about the content on your blog and blog posts. Learn how to use them and when. Ping is the name of a computer network tool used on TCP/IP networks (such as the Internet). It provides a basic test of whether a particular host is operating properly and is reachable on the network from the testing host. Ping provides estimates of the round-trip time and packet loss rate between hosts. It works by sending ICMP “echo request?? packets to the target host and listening for replies (ICMP “echo response?? packets). Pinging is built into WordPress right out of the box. Every time you publish a new post, a ping goes to Ping-o-matic, which then forwards a ping onto many different search engines and tagging services to let them know that you have new content and to send out their crawlers and spiders to take a look. In a moment I will talk more about search engine submissions, but pinging has basically replaced site submissions. With WordPress and WordPressMU, pinging happens behind the scenes invisibly. You don’t even know that its happening, but your blog shows up on tagging services and search engines with no effort from you. Pinging is critical to SEO techniques today, so if you aren’t using WordPress, consider learning to manually ping to knock on the doors of search engines and tagging services to let them know you are available. 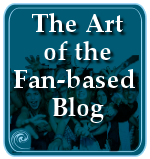 Promoting your blog comes in two forms: promoting the entire site and promoting specific posts or articles. Basically, they work much the same but there are a few differences. Site Submission Through Pings: The first step most people will tell you do is submit your site to search engines and directories. Not me. You get quality information here, not the same old cliches. The first step you need to do is nothing. Well, kinda nothing. If you are using WordPress, it has built-in function called “ping” which sends a note to many search engines and tagging services to say “Hello World!” Literally. In fact, with WordPress, before you even publish your first post, the first test post called “Hello World” on WordPress issued pings the moment it was installed. Search engines and tagging services all over the world got the message that your blog is active and ready to be searched. Now, it is up to you to fill it with content to make the search engines and tagging services full and content. Submit to Search Engines and Directories, Too: Still, it does help to do a little work yourself to make sure you reach any search engines or directories that aren’t on the WordPress ping list. The second step you could take involves using other pinging services and promoting your blog or blog post to search engines and directories outside of Google and Yahoo’s realm through site submissions. For free or little money, you can do this easily through the easy-to-use Self-Promotion Website Promotion. Robert Woodhead has been helping website managers and owners promote their websites for free since 1997, after he got so frustrated with scams from greedy site promoters. I’ve been using his services for over five years and have to admit that while I’d love to totally redo his site’s layout and writing to make it more user-friendly, you literally have nothing to lose but time to take advantage of his great service. And if you really like it, a donation is always appreciated. Self-Promotion Website Promotion helps you promote your blog or site to hundreds of different search engines, directories of all shapes, sizes, and specialites, and to many foriegn language search engines and directories. He even offers help and submission information for getting awards for your site. This is a great way to get into speciality and small search engines to help spread information about your site or blog around. All for free. If you pay, there are many other benefits and bonuses for promoting your site, so consider donating to the cause to help the site keep going and to improve your SEO coverage. You can submit your entire blog through Self-Promotion or any search engine or directory, or you can submit a specific post. Many people think you can only submit your whole site, but individual pages are also welcome, if they apply specifically to the category to which you are submitting to. For instance, this post would not be appropriate to add to the DIY > Home Improvement category, even though I have titled it a Do-It-Yourself project. It is more appropriate to place it in the SEO or Web Development categories. If you have an extremely popular post, or you think you have one that should be very popular and well received by a lot of people as educational and informative, consider submitting that specific post to search engines and directories to attract attention to the post, not just your blog. Become Active and Visible: The third step you need to take in promoting your blog or post is to become active. Becoming active with your website or blog means posting frequently, at minimum 3 times a week, interacting with those who comment on your blog, commenting on other blogs around the Blogosphere, and getting involved within your blog’s subject community. In order to get noticed, you have to be noticed. If you want attention, you need to get people’s attention so they will come see what else you have to say on your blog. Commenting on other blogs do several things. One, they create links back to your site, though the new use of the NOFOLLOW link attribute instructs search engines to ignore and not follow the link, making it irrelevant. But for those who do not use NOFOLLOW, the more links coming into your site, the better you may look for search engines’ ranking. Two, if you say something of interest, appear to be intelligent and eloquent, the odds are good that the blog owner and visitors will click the link on your name or blog address to find out if you have more intelligent and eloquent things to say. This invites more visitors. Third, if you are really intelligent and eloquent and your blog showcases it, the odds are high that someone will give you a mention or put you on their blogroll to tell the world that here is an intelligent and eloquent blogger who deserves some attention. There are many ways to become active as a blogger, and as a byproduct, visible. Get active by contributing to other blogs and getting involved within the blogging community, or at least with the community or industry you blog about. Volunteer to help if the industry features volunteer services, which most do. The more you participate opening, the more visible you become, and the more you encourage people to visit your site to find out what all the activity is about. Consider establishing yourself as an expert. This doesn’t mean you become a snob, but learn all you can and share what you learn with others about what interests you. Experts get a lot more interest than unfocused, talk-about-everything-under-the-sun bloggers. Visitors want to know that when they return, they are going to find consistent, quality content and information that attracted them in the first place. And as an expert, people soon learn where to come for your expertise. The key to getting active with your blog is to remain visible and accessible, developing relationships and educating, not just sitting there waiting for the world to come to you. You have to go to it. Build Incoming Links and a Reputation: The fourth step usually covered by most cliche SEO techniques is to work hard on creating link exchanges. A link exchange is when another blog or website links to yours. This can be through a reference in a post or on a blogroll or links list. Links are powerful tools that connect the web together. The old thinking was that the more link exchanges or incoming links you have to your site, the higher your page ranking in search engines. Those days are over. You can have 4000 incoming links to your site, but if you have no decent content on your blog and lack other critical elements, then those links are useless. Search engines know the difference now. In fact, you could be penalized for lack of content and too many incoming links. Link exchange gimmicks and services don’t work. Got it? What does work is getting people to write about your blog or posts, or including your blog in their blogrolls. This encourages increased traffic as people follow the link to you. What does work is getting the right people to write about you and include you in their blogrolls. The right people are those with blogs or sites that have credible and honest content, with lots of incoming links to that fabulous content, and those you would trust to say “hey, I recommend this site”. I call this technique the “Consumer Confidence Blog Rating”. People rely upon the researchers and experts at Consumer Reports to give them qualified advice on what to buy, as well as warning them of what goes wrong with products. Search engines have a form of Consumer Reports ratings on websites helping them to decide which are good and which are bad and which are in between. This is reflected in their page rankings. The higher the “PR”, the more confident in the content and material a search engine is in the site. A link from a good PR site to your site has a higher value than 4000 links from any old sites. Again, we get back to content, content, content. Have information, resources, and content worthy to link to, and people will link to you and blog about what you have to say. You want to get the best SEO rating you can get? Then spend quality time presenting quality information to the world of the web. The rest will happen naturally. The movie industry loves to say that you are only as good as your last film. I say you are only as good as the level of effort you put into SEO practices. Good SEO practices are a lifetime of work, not just the last post on your blog. Your success is based upon a number of factors, including the wealth of information on your blog. Like any plan, you need to test your results to see how you are doing. This is also known as “site monitoring”. It’s like monitoring the levels of your blood sugar or cholesterol; if you are out of balance, then it is time to make some changes. The blog traffic statistics are probably one of the most popular methods of monitoring your blog’s results. Blog traffic measures the number of visitors to your blog, as well as which pages they visit, and how long they stayed on your site. It can also measure where and how a visitor arrived on your blog, from another website or through a search engine, and it can measure from which page a visitor leaves, as well as how long they stayed on the site. Blog Traffic – How Many Visitors: Many people still get a thrill when they see a visitor counter on their blog showing the world how many people took time out of their day to check out their blog. Many still declare one of the most essential things they need on their blog is a visitor counter. 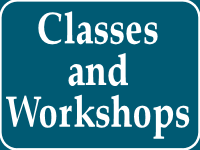 They want it displayed prominently in the footer or even the header. “You are visitor 456,897!” The belief is that this ever growing number indicates a quality site. Not to me. Maybe I’m just cynical, but I’ve been around long enough to know that these numbers can be easily faked. What if you have a ton of visitors but you change your host server or blogging software and you have to start over from zero? 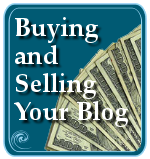 Just because you have thousands of visitors, does that mean you have anything of value on your blog? I’ve visited many sites with counters to find that only 112 people discovered how magical this site was before I showed up. Lucky 112 plus one. A visitor counter is really a useless piece of clutter that clogs up the clean look of your blog. Visitor statistics only matter when they have more information than a number of page access or visitors. You can blog and brag about the numbers, but keep them off your blog and in a place where you can get real numbers to help you understand how people are using your blog and what keeps them returning. The only benefits to you in the number of visitors to your blog is how that helps with advertising, and monitoring your bandwidth to make sure you continue with a host that will not overcharge you for exceeding your current levels. If your traffic numbers continue to rise, you can take that into consideration as you plan your host server decisions. Sure, it’s a thrill to see your traffic numbers rise and fall, and they should slowly grow in an upward direction if you are doing everything right. But it is also heartbreaking to see you have a huge increase in visitors only to find out that 80% of those were search engine crawlers, spiders, and spammers. Blog traffic statistics need to be analyzed thoroughly to understand what is going on. The number of visitors alone is no help at all. So we look at other more helpful clues from other blog statistics. 4) You encouraged them to leave your blog. If you find that the average visitor stay on your blog is only a few seconds, then consider your content and its value. Are you using enough keywords in your writing to make it clear to search engines and your readers that this is the topic at hand? 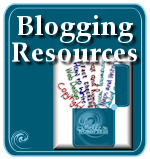 Is your blog easy to read? Can they easily search and navigate around your site looking for more information? Are navigation links, like next, previous, categories, site search tags, and a good site map easily accessible and obvious to find? Are you supplying them with links to tagging services that says, “Hey, nothing for you here, then leave the site and look elsewhere”. The last is usually done by providing external links to tagging services such as Technorati or Del.icio.us, something I find problematic with tagging. Longer stays usually indicate better quality content and helpful ways for the visitor to find the information they need on your blog. What Brought Them Here: There isn’t always enough information is help you understand why they came to your blog, but if the website they left has information similar to yours, you can pretty much guess that it either didn’t give them enough or any of the information they needed, or they needed more information on related topics. It can also tell you whether or not the website they left had a post about your blog or just a link. Just visit the page and look for any mention of your blog. The first one is looking for “cheat sheets” and the second one is looking for “wordpress, 3, column, theme, viewer”. These represent keywords used to find your blog and post. This is why keywords are so important. People use them to search, and the better the distribution of keywords in your content, the more likely they are to come up when people use them to search. Using this keyword information, you have a clue as to what people are looking for that brings them to your site, whether or not you have specific information on what they are looking for. I look at this list and see two lists. One is a list of article topics I’ve written about, and the other is a list of article topics I need to write about. If you look through the list, you will see that the words “wordpress” and “blog” are listed frequently. This information tells me that the connection I wanted to make between WordPress and Blogs has been made. I’ve used enough of those words to connect the dots with those keywords. If there are words in the list that are not representative of any articles I’ve written, but are still within my subject matter, I use the list as inspiration, finding new potential material for articles. If enough people are hunting for the same topic, then I had better write about it to meet their needs. If your top search words list is full of disconnected and random words, with only a few repeated, then this could mean that your keyword density and usage isn’t adequate for a search engine to categorize your blog. It could also mean that your blog content is random, covering a wide variety of topics with no consistent topic theme or category. Go through your post content and reexamine how you are using keywords in your writing to increase their value to search engines. Who Brought Them Here: What brought them to your blog is also as important as Who. The “who” are other websites and bloggers who list a link to your blog or post from their site, connecting the two together. The power of the link between two websites is amazing. The link says “This is worth visiting” and “I recommend this site”. Who is linking to your site and are those links bringing in traffic? From your blog statistics, you can check your referers to find out from where people are coming from, and if you get more than 4 visitors from a specific blog or site, then you can bet that they have written something about you or included you on their blogroll. So check them out. Go through the results every few months to find out who is linking to you, how many are linking to you, and what they are saying and why they are linking to you. If the number of incoming links on the various search engines isn’t rising, then it is time to work on creating more linkable content and to become more active and visible on the web through comments, socializing, and guest blogging. What They Looked At on Your Blog: Some blog statistics will show you a list of all the pages visited by a visitor, but not many. The information you usually get is which posts are the most visited. Still, this gives you plenty of information. First, you know that this is a popular topic, so maybe you should write more on it. Is there more you can add to the topic? Is this something you enjoy writing about? Then get busy and write more on the topic to not only attract more users and give them more information and resources, but to also create a stronger body of work. Second, you know that this page is getting a lot of traffic, so maybe you can add links to other posts and ads on the page to get better coverage and referral rates within your blog, as well as keeping visitors around your site a bit longer. Third, a popular post is worth submitting directly to search engines, directories, tagging, and social bookmarking services because a lot of people have shown an interest, so a lot more might be interested. This gives you double promotional value for your blog. How, Why, and From Where Did They Leave: How and from where a visitor left your site can only give you information if you know which page they entered from. Unfortunately, this information is not always available. You are left with statistics that say X number of people entered on this page and X number left via this page. If you have a lot of people entering via a specific post and leaving via the same post, then there is something wrong with that post. If you have people entering your site and then leaving quickly, then there is something wrong with your site. If you have a lot of people leaving from a specific post, then there might be something wrong with that post. It’s a guessing game, but it is also information you need to pay attention to. Check out your navigation links to make sure they are working. Add links to related posts or recent posts to encourage them to browse your site for more information. And if you feature links to tagging services, then do not be surprised to find people using those links to leave your blog. Check to see where they are going and if you have a lot of visitors heading to Technorati after visiting one post, then consider changing those Technorati tags to site search tags instead. Why they leave is another question worth examining. You just might not have the information they need. Consider expanding the content to include more information, using the search term list for inspiration. Consider your design and layout as a factor in fast exiting. The harder a web page is to read, due to small fonts, a busy design, over-bright colors, too much information, too little information, or too much unrelated information, the sooner they will leave. Take time to test drive your Theme or design with others, specifically strangers, to get their opinion about the look and layout of your blog and take their comments seriously. The easier your blog is to read, the cleaner the content is displayed, and the easier it is to navigate throughout the site, the more likely visitors will hang around a bit to find out what else you have to say. Also consider adding feeds and subscriptions to encourage visitors to access your blog via their feed reader or return because you reminded them that your blog was updated. Offer various ways to encourage visitors to come back as well as to stick around. Check Your PR: Page Rank (PR) has become highly over-rated. Like an individual stock on the stock market, if you watch it too closely and frequently, it can give you an ulcer. But check in once a month and over time you should see it rise. Page Rank is a value that puts your blog or blog post in a ranking among other competition in similar categories. Your PR rating is determined by a variety of evaluated information including traffic, incoming links, domain age, and more. Google’s PageRank is a trademarked and patented page ranking process used in evaluating websites in a comparative fashion for listing in search engine results. While explaining all about page ranking is beyond this article, just know that there are 10 total possible “points” a website can be awarded and a page rank is defined as 7/10 or 4/10, signifying that the site has been awarded X out of 10 possible points, the higher the awarded points, the better. For more detailed information, see Wikipedia’s PageRank, The Google Pagerank Algorithm and How It Works from IPR Computing and Web Workshop – Page Rank Explained. You can find page ranks from a variety of page rank testing services. Here is a short list of some free page rank testers. While page rank may help you understand your place in the search engine’s web, it doesn’t often work in the real world. To find out how you are really doing inside of search engines, search for key keywords people use to find your blog and see how high or low in the list your blog is listed. If it is on page 14 the first time you search, wait a week or a month and search again to see if it has moved up to page 8. Look for changes in your ranking from within the same searches over time. Don’t judge it on the first try. If your keywords or phrases don’t bring up your blog, then you need to work harder on those keywords. Over time, if you don’t see it rising, then it’s time to get to work with some serious SEO and keyword optimization. If you want to keep up with the blogging Joneses, then you better examine what the Joneses are doing compared to what you are doing. Find out who your competitors are and examine their blog. You can examine their source code for keywords, meta tag usages, and programming code, or just examine them on the surface to see what they are doing, what they are writing about, and what and how they are presenting their content. Search search engines for your competitors and see how they rank compared to you. There are also many free services that will compare your page ranking with other competitors to help you understand where you are in the Blogosphere Food Chain. This doesn’t mean copy exactly what they are doing, but learn from them. I’ve found that the more your blog specializes in specific content, the better it does in the rankings, so how specialized are your competitors? Or are they? How do they handle their specialization? What topics are they covering and what have you covered that they haven’t, and that they have? And what have they covered that you haven’t? Should you? What features do they have that is different from your blog? Do they include increased navigation through recent and most popular posts? Should you? Do they feature more graphics or less? What style of voice do they write with? Is it as an expert or a fan? Is it friendly and open or factual and to the point? The more you can learn from your competitors, the more you can learn what works and doesn’t work for your niche. Fads come and go, which makes this an important SEO element that needs to be done frequently to “keep up with the Joneses”. Here are some resources that will help compare your blog with other websites to find out who your competition is and how they are doing, among other comparisons. A website or blog’s health and fitness is critical to its success. Validating your website for errors frequently is one way of getting an annual checkup, but there are other elements that also need to be checked routinely for problems and updates. This topic is very important, so I’ve written about this topic extensively. Nothing is more frustrating for a visitor than to finally find the information you need only to discover that the link is dead or broken. Website designs gone bork and screwy make for unpleasant viewing. Out of date information, layout, design, or presentation makes a site worthless. And if something in your blog is broken, then a search engine will flounder around and exit, leaving your site sitting in its own dust. It’s critical to keep up with your site’s maintenance plan, for its health and yours. While businesses with blogs and websites need to hire experts to maintain their sites, you, the do-it-yourself blogger, can do the same things with little or no money, only time and effort. Yes, it does take time. While you can buy a piece of software that will do most of this for you, printing out a neat report within a few minutes, that little piece of software may cost you from USD $50 – $900. If you got the time and not the money, Do-It-Yourself SEO is a much better choice. You will find a checklist summary of the things you need to do for website development and search engine optimization in the article on Step-by-Step Website Development. This entry was written by Lorelle VanFossen and posted on January 15, 2006 at 7:11 am and filed under blogging tips, Web Design, Web Wise, WordPress, WordPress Themes, WordPress Tips with tags design, how to use wordpress, site customization, Web Design, wordpress, wordpress help, WordPress Themes, WordPress Tips, wordpress tutorials. Bookmark the permalink. Follow any comments here with the RSS feed for this post. Post a comment or leave a trackback: Trackback URL. What an in depth look at SEO Tweaks, and general blogging tips to help you get more visitors. I’ve included something similaron my site, but not this good! To “help me get more visitors”? Interesting perspective. some good stuff here, thanks. i’ve been looking at various strategies of search engine optimization specifically for wordpress. Really interesting article. The most important aspect in optimization is freshm and quality content which is loved by various search engines. Hello, Lorelle. If I’m not mistaken, Do it yourself should be abbreviated as DIY. The title on your blog post is DYI. I know it’s very unlikely that such a mistake goes unnoticed, therefore, please excuse me if I’m wrong. I am not a native English speaker. Just goes to show that it takes a non-native English speaker to catch the fine details in English. Yikers! Thanks for the catch. I just found your post and it is terrific. There is an enormous amount of great information here (along with the related posts). Oh Oh! I see a competition heating up between Jerome and Chris Davis of the Ultimate Tag Warrior WordPress Plugin!!!! Don’t you? The Keyword Manager is very cool. I’ll have to dig into that more. Thanks for bringing that to my attention. I found your article here from another link and read it all, GREAT TIPS that you are sharing. I think one thing many bloggers forget is the importance of their ping utility. WordPress by default will ping ping-o-matic, but there are many other services out there as well you can include into WordPress or your blog to get promotion. Also for WordPress users, using plugins like Ultimate Tag Warrior and my SEO plugin will help increase your natural search engine rankings. My plugin will optimize your title tags and meta information and also help with auto discovery of your RSS feeds. Brilliant! Thanks for the ses/seo synopsis…My clients will love you 4 it! It is an interesting article. Any suggestion to create good blog for Google Event at Saastra. This is really a nice way to find neat blogs on the internet.I was searching for a particular query when your blog popped up in the search engines.I guess you just have to put together a organized web site. Great blog either way.I will definitely will bookmark you for future reference.Have a Great Day! Focus on adding new and fresh content 2-3 times during the week. That will help on link building and increase in search engine positioning. Thank you for your article very interesting..
Lorelle, I would like to congratulate you on your efforts on your blog. SEO though it seems to be easy it needs lots of common sense and understanding of the customer while optimizing any website. Please visit my blog http://infozone.wordpress.com and let me have your valuable feedback on the same. Cheers ! I tried Article Marketer and found it very inefective. Long story short, I cancelled my subscription and started to market to search engines. I find that search engine marketing is fast becoming THE way to getting tons of traffic. I mean, think about it: it’s free (if done right) and it can bring you litterly thousands upon thousands of free quality traffic every week. I’ve decided that the safest bet for me is to work hard and get a #1 spot on all major search engines for a certain keyword – and once that is done… I’ll be set as far as traffic goes. Any comments? This is by far the best, most complete, SEO article I have found to date. As a fairly new blogger, I am constantly on the lookout for SEO information. Most articles are somewhat choppy and incomplete. Your article addressed all the key idea’s, plus you gave a TON of links for further research. Great job! Thank you for sharing your great knowledge… Nice to meet you! I’ll bookmark this page for my reference. thank u for all the information. This is the ultimate and A-Z guide for SEO skills. I think the ‘and’ should not be in italics. My site is new and I basically have no google ranking at all. The only way to find my site on google is to google the name of the site. I can even search for excerpts of my site in quotes and i still don’t come up. After reading your article, I thought maybe it was a navigation problem, but when I search for the pages using “site:” they all seem to come up. Any ideas what’s going on here? Number one reason from my quick glance at your site: keywords or lack thereof. Your content is all over the map but you need to focus in on specific keywords that represent your market. Kids, youth, children, young, play, activities, hobbies, crafts, family, family travel, traveling with children and other combinations of those types of words that match your site’s purpose. Use them all the time, in every post, over and over. Stay focused. Your categories are also a mess. Too many and too unfocused. Clean them up with very focused terms and keywords. “Family Travel” versus “On the Road”. Do NOT use all capital letters in your categories. I also recommend patience as these fixes will take time to make an impact on search engines. And check out Blog Challenge: Testing Your Blog’s Development for more testing to see how your blog is doing. One last tip. Kill the Technorati tags. You are only sending your traffic away. Make them site search tags instead. That will keep people on your site and help build up intrasite links for search engines. I recently discovered your blog and I’m amazed by all of the great information you have here. Thanks for this excellent article and all of the other ones I’m reading through now. They are very helpful to me! Thank you for all the great content! I just spent 1 hour on your blog reading about all kinds of things and I feel like Ive just scratched the surface! It’s been about a month since you gave me those tips on SEO for my site. In that time I went from not being able to google myself with direct quotes from my site to now being on page one for just about every search term I can come up with. It’s great to see my site coming in before much bigger and more popular sites. Thanks so much. This is a great article. I am staggered by the sheer amount of information you include. I will be studying this for some time to come. Thank you for your generous outpouring of knowledge and experience. You are so welcome. I’m glad I could help. Thats lots of really interesting and great information. Well this was an awesome article… Maybe one of the best from your site. I also read your RSS and it keeps updating with cool new articles. Thank you Lorelle! Excellent collection of SEO advice. This is what makes blogin worth a while. Thanks. Great content you have provided here. SEO can be very difficult for newbies to understand and you have really provided great information for them. I never paid much attention to it when I first started network marketing but have realized the importance of it. I’m sure alot of people will benefit from what you have shared here. Great job! Blogs and similar websites score top rankings and Good Page Rank within a short period of time. The reason behind this mystery is Google’s Algorithm. Google specifically gives importance to those websites which update their content on regular basis. This is the reason why most of the blogs are scoring PR > 5. A normal website might take 8-12 months to score good PR, but blogs and other websites have managed to score good rankings and PR within a short span. This is a subject that often has unexpected end results! Thank you for compiling this excellent information! This is a lot of information. To me it comes down to just a few things. 1) research search phrases 2) use those phrases on the page 3) get quality inbound links 4) ensure you have search engine friendly links on your website. 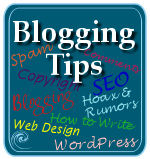 Nice tips to promote blog/website…i would like to know about supplemental index, how to remove it from website and bolgs…will you please help me out in this..
I’ve just stumbled upon (no pun intended) your site – what a great resource! Can’t wait to let my Web 2.0 people know about you! I personally believe when you understand SEO, you quickly forget what it was like when you did’nt have a clue. Elearning is a growing business on the internet, eventually courses on basic SEO will be well subscribed to by people looking to join the ever growing band of webmasters. Certainly understanding the basics of SEO is the first thing newbies should be thinking about subscribing too. ..some good stuff here, thanks. i’ve been looking at various strategies of search engine optimization specifically for wordpress…. excellent advice.. im putting this page in my favourites because ill have to read it a few times to remember it all! thanks a lot! Once again Lorelle has helped us learn seo. I had the great pleasure of seeing her give a discussion at Wordcamp 2007. As a testament to her energy & passion she was the only speaker to also be the person that took the mike to any questioneers. I am new to the “blogosphere.” I have set up a custom theme that is CSS and XHTML valid. I’ve set up my Google Analytics and Webmaster Tools accounts, submitted my URL and sitemap. I’ve perfected my keyword cloud and everything. However, it seems I submitted my site URL to Google too early, before I had really optimized everything. The last time Googlebot crawled my site, nearly a week ago, it was not ready, so now there’s a terribly outdated cache. Any help with how I might get crawled again so new data goes in Google’s database. My content is targeted, fresh, and updating regularly, but I don’t have any real incoming links. Perhaps you could add me to the Displays Brilliance section for a few days on the hopes I might actually get crawled again? Thanks! First, relax. Google will be back. Second, put your energy into content and skip all this playing with statistics and Google Gaming. Let it happen and it will. It can take months, so concentrate on content so you are never “not ready” again. Third, NEVER beg for links. It doesn’t speak well for you or your online reputation. Lastly, relax again, take a deep breath and get to know your fellow bloggers within your industry. Attend a few conferences. Get involved with a forum that deals with your industry. Start networking and just let things happen as they should. When you’ve been at this for two or three years, then start worrying about Google not showing up and all the rest of this silliness – opps! Sorry, you won’t, because by then you will realize that these are the least of your worries for building an online reputation with your blog. And please accept my apologies for panhandling. Really useful post!!! Thank you. Very in depth writeup. One thing that I didn’t noticed that I used with great results was interlinking new content with old content. It’s something that works because you get nice keyword right links between your pages. It also can be used quite effectively to control the flow of your readers to your best content and keep them on your site longer. If you write something that you’re proud of give it a link in the text of a related post! Thank you for your input. If you reread the article again, the second thing I mention in the list of things covered within this article on SEO techniques is the use of intrasite links. This is the term for linking to your “old” or “past” posts. It is critical to old SEO techniques and remains critical to help connect your visitors and readers to deeper content on your site. Thank you for the info, i do so now about seo but i’ve learned something new, I’ll bookmark this page for my reference. As was the advice in the beginning of this article. There are no guarantees. More importantly, many are claiming the chase for Google Page Rank is dead and gone as Google is now randomly changing the “rules” and mixing things up to put off scammers. Again, my point in the article. Be honest and true to your passion for blogging and write with searchers in mind so they can find your content if that is what they are seeking. Be more aware of those who leave page rank seeking spam, especially like the many who put comments on this article about SEO using keywords in the comment name form that claim SEO wisdom, expertise, and guarantees. Useless commenting in order to get link credit from a high ranking blog to a lessor one is just a waste of everyone’s time. It doesn’t work, especially if the blogger is paying attention to their comments. You can do the best SEO in the world but remember that millions others are doing exactly the same. Instead focus on the users and content. SEO will follow you! what a fantastic resource page. I’ll surely recommend this to people. A superb article, so glas i found it. Brand new to blogging and plan to put some of this into action. Lorelle your way you explaining the whole procedure is very decent because you pin point every important step which should be taken while doing SEO of any site. I think this information is pretty good for bigners and professionals. It is a nice, lengthy piece with a lot of information. I suggest that you go check it out once. Well-designed accessible sites help search engines visit your site and gather the information they need to rank the page in search results. SEO is a good plugin. Good post. Yes,there are many more sources on the net wherein you can find valuable information on SEO. To be a successful SEO keep networking with the SEO community and also read as much as possible on SEO. SEO marketing with wordpress.com has been popularized within a short period. Yes, there are many sources, but unfortunately, there are also a lot of snake oil salesmen selling SEO. Per point, SEO marketing with WordPress.com makes no sense. There is nothing a WordPress.com user can do, outside of the content area, to increase the search engine optimization of their blog’s code, though they can create a link magnet and referral base. Any site can do that. It’s not exclusive to WordPress.com. In fact, few of the WordPress Themes used by WordPress.com are “SEO Optimized” another term often misused. WordPress.com is a free blog hosting service with extreme limits on what you can and cannot do. Digging into the code for true search engine optimization is not allowed. Nor are XML sitemaps and other options which increase or improve a search engines indexing of the site. Thanks for the great info, its hard to find good sources for quality information on SEO these days, seems everyone is an expert nowadays. You never cease to amaze me with your writings. I “lurk” around your blog, often not commenting, but this post deserved kudos. You know your stuff. All the more reason new bloggers need to find you. I like that you tell it like it is. Even though this post is over two years old, the information is timeless. You’re good (((smiles))) I’ll definitely be letting my readers know about this one. Thank you so much. I specialize in timeless writing, so I appreciate it when someone notices. Thanks! These are really, really helpful tips to promote your blog or website. Some of these I have already implemented in my new blog, but there is a lot more work that can be done. Thanks for this great post. Frankly,i have been read a lot of article about SEO. But i have to say this post really is the best one i ever read.You really giving a comprehensive explanation of SEO. This is a great post and i gonna write a review in my blog. This is a fantastic article on search engine optimization. You put in a lot of time and effort to cover everything about S.E.O. and it shows. I used to get lots of traffic from search engines until two days ago…suddenly I get next to nothing. And most of the ones I do get are people searching on the name of my blog (phdinparenting or PhD in Parenting). Do you know if WordPress and/or Google have changed something about how WordPress posts are indexed/ranked? Suddenly all of the WordPress tag pages are getting great rankings on Google, but individual posts are not. ARGH!! If page ranking is a passionate interest to you and your blog, consider leaving WordPress.com for self-hosting so you can control all the SEO factors. Google indexes WordPress.com blogs very well. Google is changing its page ranking algorithm rules and restrictions all over the place and many are suffering the same fate. I’d treat this like the stock market. If you watch it too closely, you will get an ulcer. If you let it happen organically and let the market take its course, it is usually more stable. The problem is with Google. Remember, they aren’t the only search engine in town. Do you write and structure your blog to be more “friendly” to Yahoo, MSN, and AOL? Are you really writing content stuffed with the keywords people search for? There are a lot of things to take into consideration when living from page rank indexing to page rank indexing. But WordPress isn’t the issue. Google and your content is. You are very right about what SEO can do for a website and the importance of Keywords. If you are interested and as a contibution to the community I have just posted an article about the importance of Keyword Research to build the foundation of a search engine optimized website. I hope this to be useful. hey i am familiar with almost all the terms you specified but what is ping back its new for me. Will you explain ? A pingback is similar to a trackback, and often confused with one another, enough so they are now considered the same. A trackback brings with it text from the linking post, and a pingback brings only the post title, a knock on the door rather than a message left on the door that someone is talking about your blog post on their blog. I have just come accross this information, and for someone who has just set up a web site, this information is both interesting and essential. Many thanks for making this information available and in such an easy to read format. Excellent article… very much helpful for my site’s optimization. i am already applying some of your given tips. thanks!! Don’t go searching for the silver bullet. Rather, read this awesome post and follow the guidelines religously day after day. I did and you’d be amazed at the results I’ve gotten. SEO can be complicated but it doesn’t have to be. I experimented with many of these suggestions and found the section on site submissions very helpful. Best of luck! This is a very indepth guide to search engine DYI. It’s a little to complex for someone not familiar with html, basic coding, but lots of valuable information in here and great links to tools needed for seo. Good work on the whole! Wow this is very good article…Long and so much useful information here. Thanks for your hard work in making this post. Thank you for sharing with us this wonderful article. I’ve never come across such an article that was so extensive and so information. I’ve done a lot of optimization of both my blogs at wordpress as well as blogger. This one is just too good. Thank you once again. Thank you very much for the guide! I’m always looking for new ways to optimize my site for seo, and these are some great tips. Very nice! I am glad I found this article. I just printed 2 copies to hang in my office and to show my co-workers. Now its time to get to work! Thanks again! out for themselves all they need to know from the visible text on my pages. You won’t find me laboring over what to put in some Meta keywords tag. Hanh Lorelle. I’m an Indn in ND, land of bigotry & intense denial, & while there are some really great non-Indns up here, the bigots really interfere with anything we’re trying to do, especially me because I make big differences happen despite the facts that I have “no money & no votes”. The Lt. Governor has described me as “Nothing! Nobody! She has no money, no votes, no power.” Fine! Doesn’t bother me.. But then why was I told I (personally) am “not welcome” at the ND Citizen Legislature? Why was my blog site sabotaged & my web site that kept me solvent & my web master either intimidated or paid off to avoid me (both?). Why did “my” state senator ask me how I was surviving when “we” (they) had blacklisted me with employers across ND”? What it did was cause me to survive on $9k last year while striving to learn to build my own web site. It has been slow going. I’m bright, but survival means lots of scratching, leaving little time for brain work / learning. Articles like yours make all the difference in the world. Wopila tanka! / Profound thanks! P.S. When (not ‘if’) my company is back in its markets & we have a web site, you bet these stories will be there. Nothing like the truth to end a reign of terror.. The truth is the most powerful weapon there is. Long live the truth & the guts to tell it. Ake’ pilamiyaye / thanks again. Thanks for sharing these heads up, Lorelle. There’s really a lot of vital component that needs to be applied in order to succeed better in Seach Engine Optimization. And your article offered some valuable insights here. Thanks for the heads up, Lorelle. As websites become an increasingly important part of any company’s marketing plan, it is becoming more vital to understand how best to take advantage of the format and the technology. Search Engine Optimization, or SEO, is the process which gives your website an edge when it comes to utilizing the benefits of the search engine format. What SEO attempts to do is to improve your search engine ranking, through various methods, including correct coding, usability, attractive design, and relevant content on each page. Great, highly useful.Thanks for the post. This is a very helpful article, to someone who is about to break from information overload. There are so many ideas out there, about SEO, and link building, paid link building etc. I am just learning as i go along, and really just absorbing the basic stuff. Your article is by far, the most understandble i’ve encountered. after a long time I really get some great post about SEO. It’s really great one till I know. thanks mate. This is very good. You have explained it very well. Thank you….!!!!!!!! hey the day i started posting on my blog there were 925 hits on that same day but after it they have declined to almost nil. why so??? No clue. What kind of hits? Were they traffic? What inspired them? Where did they come from? You can’t answer why until you know more information. Blogs and similar websites score top rankings and Good Page Rank within a short period of time. Thank you so much for this amazing article and site. I have been wading my way through it and learning so much. I have a question that I am hoping you might be able to help me figure out. An accessible website has another major benefit. Search engines “read” your site like the blind and visually impaired, looking for text in links, images, and content. I’m late to the party by a few years but I wanted to say thanks for the well written article and ask if you might explain more about which techniques are considered bad form and might actually diminish SEO. but my problem is i cant use seo properly on my site please help me ..how should i optimize my site properly is there any expert or any body can help me? If you are using WordPress “out of the box” you do not need to mess around with anything SEO. If you need more, then be more specific with what your goal is. Then make a plan accordingly. WOW! I was told about this site today in reference to this article. What a find! I will be back ,many times, to read the many articles that I’ve seen. So much good info. Also, I see you are a neighbor, a fellow Oregonian anyway. We live down the road in Roseburg. Just tryin’ to earn a dollar or two online. I can see that your site here will be a big resource of info. Glad I could help out a “neighbor.” Sorry that my site doesn’t concentrate on money making online. Good luck with your activities. Early in this article you mention pinging. Doesn’t WP.com already ping Google, Bing, and Yahoo for us? Does it hurt for us to ping again or is what your suggesting pinging other sites/services other than those big 3? WordPress.com handles all of the pinging automatically. You need to do nothing other than add some sites that are outside the range of Ping-o-matic. For example, if you serve a specific geographic area, say India or a country in Africa, there are search engines and directories that Ping-o-matic won’t serve. You can add those to your ping list. For many, what you call the big 3 don’t serve them at all as their audience isn’t there. If you are in China, none of those serve you well. thank you for putting all this info together so even a newbie like me can understand it! Thanks for the sensible critique. Me & my neighbor were just preparing to do some research about this. We got a grab a book from our area library but I think I learned more from this post. I am very glad to see such wonderful info being shared freely out there. Wohh… Wat a post. Speechless. Hurrah! Finally I got a webpage from where I know how to truly take useful facts regarding my study and knowledge.